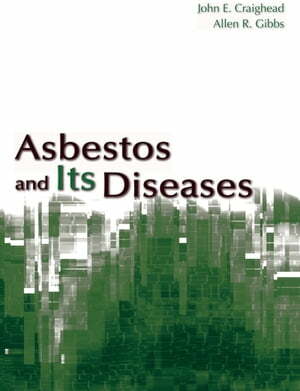 Collins Booksellers - Asbestos and its Diseases by John E. Craighead, 9780190292430. Buy this book online. Although asbestos was once considered a miracle mineral, today even the word itself has ominous implications for all strata of our society. Incorporated in the past into over 3000 different industrial and consumer products, as well as in building materials and military equipment, opportunities for exposure continue to be ever present in our environment. Of all of us who are potentially exposed, blue collar workers are at greatest risk. Countless thousands of workers and servicemen in a wide variety of trades were disabled or have died consequent to the health effects of asbestos, and many more can be expected to be affected in years to come. Litigation continues, and financial awards in the billions have bankrupt many Fortune 500 companies and numerous smaller companies. While one might implicate our forefathers in this widespread, relentless medical catastrophe, it has been only in recent decades that science has appreciated the complexities of the problem and the long latencies before the asbestos-associated diseases appear clinically. After all these years, prevention remains the hallmark of disease control, as modern treatments remain, to a large extent, futile.